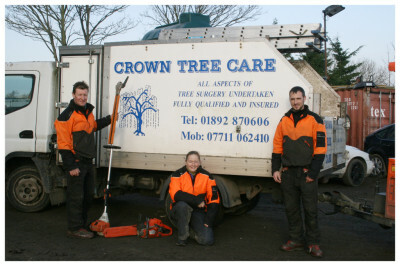 Crown Tree Care are a friendly and local company run by Sean, Jacqueline & Steven. We have developed an extremely good reputation with all of our clients and believe that this has gone from strength to strength due to our high standards. We cover the South East and North West Kent areas. We are proud of our safety record and insist that all safety procedures and practices are observed. Feel free to contact us to discuss your requirements and ask us about our free quotation service. 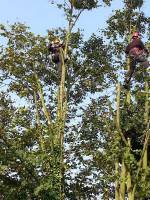 As a company, looking after the environmant is high on our list, so if we can find an option that means a tree may not need to be felled we are pleased, and feel our job has been done correctly. 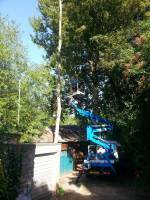 Crown Reduction is the selective removal of branches and stems to REDUCE the height / spread of the tree. This type of prunung should be done when there is a need to make the tree smaller due to it out growing its position, interfearing with buildings etc. 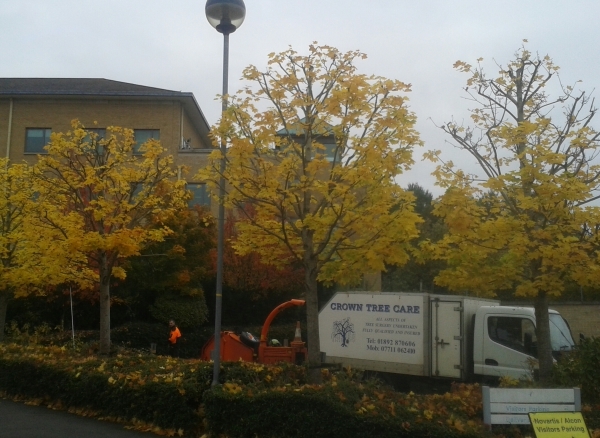 The example on the left is an industrial estate you can see the tree on the left that has been reduced and the tree in the middle has still to be done. This procedure is the removal of a percentage of live branches to produce a uniform density of foliage around an evenly spaced branch structure. 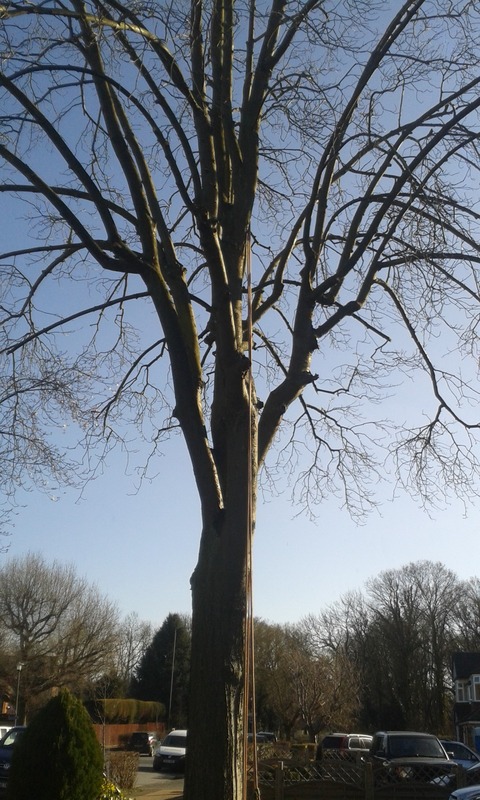 Crown Thinning does not alter the overall size or shape of the tree. On the left is a beech (Fagus sylvatica) in the process of being thinned. 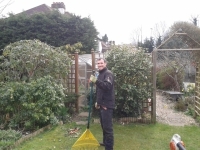 Sean Kelly trained at Merrist Wood College gaining his qualification in arboriculture (NCH/SCC ARB) over 27 Years ago. 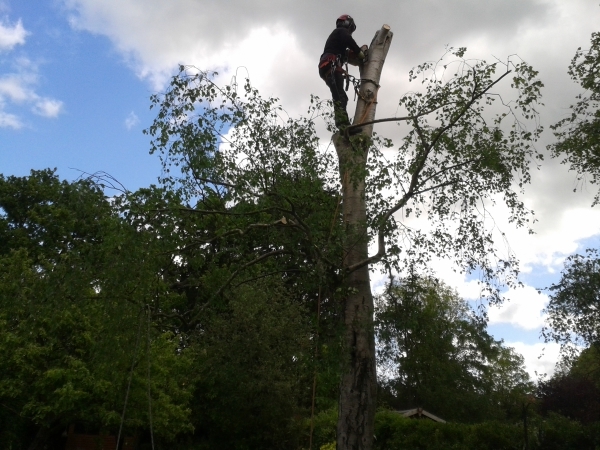 Jacqueline Kelly has been carrying out tree work with Sean for over 17 years she gained her chainsaw certificate during this time. Steven Wilson joined the company over 15 years ago, his experience and personality has added huge benefits to this company.